Taking your bike overseas – it’s a topic I get a lot of emails about. Have you been planning your cycling trip and wondered about taking your bike overseas? …Wondered whether it’s worth it? I’ve always taken my bike overseas as it’s suited my travel plans. It might not suit your plans, so let’s have a look at the pros and cons of taking your bike overseas. Had only one surprise excess baggage charge of €40 as British Airways wouldn’t honour conditions of my booking or my Qantas baggage allowances. The ebook guide to Taking Your Bike Overseas contains all the information in this article and a whole lot more. Extra content includes train information (general considerations and specific France info), insurance options for your bike, at the airport and more. Get it for only AUD$9 in a handy, printable PDF file. It can be a hassle to get around especially on trains and public transport. Airline excess charges and bike rules – taking a bike means you need to know which airlines are most generous with their bike allowances. If you’re on a tight budget, you might have high excess charges. Packing and unpacking – if you’re moving around a lot, constantly packing and unpacking your bike. Insurance – you’ll want great insurance. This isn’t something that’s necessarily a problem, but there are a few traps. More expensive – it can be more expensive in terms of needing a bigger hire car, taxis and so on. Space considerations – whether you’re in hotel rooms, a campervan or have a hire car, your bike takes up room. Taking your own bike is awesome because you can ride anytime you want like early morning for a Mont Ventoux Three-Peat (read how to do a Ventoux Three-peat – called Les Cingles). Hiring a bike overseas is an option taken up by lots of people. It’s a good option if you want to save on the getting-around hassle, be able to hire a smaller car and have more airlines to choose from when flying, as well as avoiding excess baggage charges. It lets you concentrate on enjoying your holiday and just hiring a bike where needed. Hire shops aren’t everywhere – if you’re going to France, there are hire shops in most key places (Ventoux, Bourg d’Oisans, Bourg St Maurice, Bedoin, Pau, Lourdes etc). Just don’t count on always being able to hire a bike. A bike in your size might not be available – if you’re a popular size, you might not be able to get a bike in your size. This is a big risk in popular areas like Bourg d’Oisans (for Alpe d’Huez) where there are only a couple of shops. You need to wait for places to open, and get the bike back before closing – generally speaking – at least in France, hire shops open early and are open fairly late. Potentially expensive – if you’re going for any period of time, the cost of hiring could be potentially expensive. 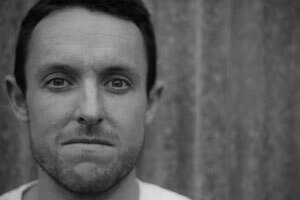 At €40/day or so, 10 days of riding could add up. Hassle – forms, paperwork, ID, waiting to be served and so on – it’s all extra hassle. The quality of hire bikes can be questionable. In 2010, I watched someone basically do half of Etape du Tour one legged as his pedal broke. Not cool. There may be a minimum hire period (e.g. 1 week) that doesn’t suit your plans. Taking your bike overseas depends a lot on the purpose of your trip, who is going and the logistics. If this is a family holiday where you hope to ride a few days – stick to hiring. If it’s a full blown cycling trip, taking your own bike a good option. If you’ll be getting around a lot – hotel hopping as it were – and won’t have bike racks, or a minivan consider hiring. French taxi drivers can, and will, ignore you at taxi ranks when they see a bike bag. You’re best off finding an independent operator, or pre-booking a transit with a hotel. Truth be told, we spend a lot of money on our bikes, and chances are, you’ve been fitted to yours. For this reason, it makes sense to take your own bike overseas, depending on your overall trip (more on this below). This is especially true if you’re doing an event like Etape du Tour, Marmotte, Haute Route or another event. To be honest, even if you’re not going for an event, but rather just a cycling holiday, taking your bike overseas still makes sense. Probably the biggest turnoff to taking your bike overseas is the cost of getting it there. There are numerous airlines who offer quite generous bike allowances (Virgin Atlantic comes to mind). All the airlines have different rules which makes finding the most cost effective way of taking your bike overseas particularly tricky, and important. If you’re a member of an airline’s frequent flyer club and have platinum or silver or gold membership (or are a Qantas Club member), you’ll often have access to more generous baggage allowances. Many airlines are now offering quite reasonable and transparent baggage policies (Air Asia X is a good example). The issue you may have is on internal flights in other countries. Local airlines can choose to impose their own policies and ignore the conditions of your booking. Make sure you get your baggage allowances in writing. Be aware, this will likely make no difference if an airline overseas is checking you in. They can, and probably will, choose to ignore their obligation. In 2010, we got boned by Lufthansa – read more about how our baggage allowances were unilaterally changed after paying for our flights. This is a great example of why trying to stick with one carrier into a major hub on your trip is a good idea. I detest having multiple airlines responsible for my flights – it just facilitates blame-shifting (I’m looking at you, Air France). Lots of people rightly worry about insuring their bike. I usually pay for my flights on a Platinum credit card. This is usually enough to make sure my bike is covered for loss, damage and theft. Additionally, I have pretty great home and contents insurance which covers my bike when abroad. One thing to be mindful of is making sure you have enough coverage (especially for amounts in excess of AUD$5000) and making sure you’re covered if doing an event like Etape. Choosing a bike bag to protect your bike bag and make getting around a breeze is easy! There’s a special VeloNomad page just for Bike Bag Reviews. I’ve covered the most popular bike bags so you should find something to suit your budget. 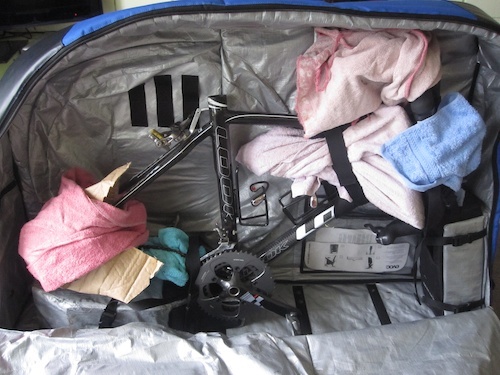 The Bike Bag Reviews page also includes some other articles and videos about packing your bike safely. More information on the best bike bags, bike bag reviews and packing your bike safely. Reader Ray sent me a great tip: you can leave your bike at Charles de Gaulle airport. This service is provided by Bagages du Monde [English]. They’re in Terminal 2 – TGV Station (“Gare” in French) on Level 4. The cost is around €40 per item for 5 days. Their email is bdm-aerogares at bagagesdumonde.com. This is a topic worthy of its own post (forthcoming, I promise!). Obviously all the different rules for the train systems in the “cycling countries” (France, Spain, Italy, Switzerland, etc) are myriad, and too expansive for this article. So, I’ll just quickly address bikes on trains for France. 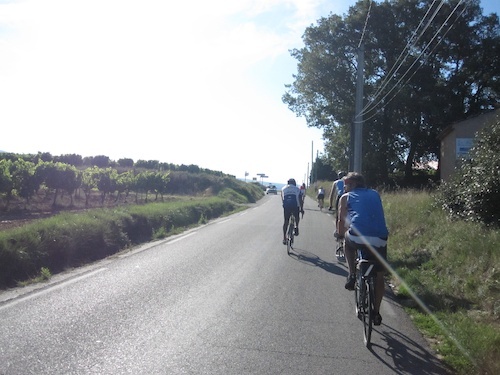 Thanks to Gerry of Cycling Languedoc for the insights. Taking your bike on the train might seem overwhelming but the French system is quite accommodative of bikes, and you should have minimal trouble provided you know all the rules. Velo SCNF has some good info, if you can read French. Unbelievably, this site is not in English (the TGV site is, though). Seat61 has some useful info including where to buy tickets from. There are basically four types of trains in France and the rules governing bike carriage on trains is different in each case. TER – this is the local train system. The new trains have special hooks and spots for bikes, but not all trains are new. Intercites – longer distance trains, these trains have similar rules to TGV below, but you don’t *have* to book a spot, it’s just recommended. TGV [English] – you must book a hook ahead of your trip, this costs €10. If you don’t book, you must bag it and store with all the other luggage. If you bag it in a bike bag, it’s carried free with all the other luggage. Intercites de nuit – these are the long distance overnight trains. They have similar rules to the TGV and Intercites. Transilien is the commuter train system in and around Paris. Bikes are allowed free, but there are blackout periods – Transilien bike carriage rules. Some trains won’t have facilities for bikes. On the train timetables, trains with bike facilities are denoted with a bike symbol like this one. There are numerous special exceptions, particularly regarding hours when you can’t take your bike on board. Check the websites, or the VeloNomad Taking Your Bike Overseas Guide which has a lot more information on bikes on trains. Regardless of which country you’re travelling to, just be really informed about what train you’ll be on. Gerry from Cycling Languedoc tells me that France is not like Switzerland, where you can basically wheel your bike onto any train. Find out more about taking your bike on the train, how to send your bike anywhere in France, special rules and more, in the Guide to Taking Your Bike Overseas. Should you take your bike? Well, this is totally up to you and relies on what your trip will focus on. It all depends on what type of trip you’re going on. For holidays of 2 weeks or more (and sometimes less), with a lot of cycling, I’d take my bike every time (unless someone else was paying for hire of an awesome Look, Time, La Pierre etc). If you’re staying in one spot for extended periods, and/or have a large camper/car, take a bike IF you don’t mind buying a bike bag, potentially paying for some excess baggage and dealing with bikes in airports. You might have delays waiting for taxis big enough to carry one or more bikes and all your other luggage. You’ll need to organise storage for the bike at hotels. Carting a bike bike and luggage on trains is a bit of a drag. You’ll need to store your bike bag somewhere. 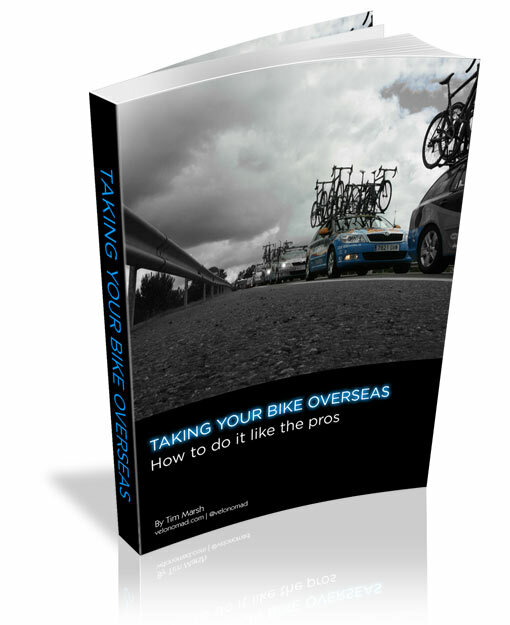 Check out the Taking Your Bike Overseas ebook. Containing all the information in this article and a whole lot more (including a load of train information for France), you can get it for only AUD$9 in a handy, printable PDF file. Got a great tip on this topic? Please drop me an email so I can add it to this post. If i go to France then its easier to drive their or even take the train from Calais they do have lots of bike friendly trains however all the commuter trains are good ice trains you need to book a place etc but no biggy.the only issue you face is getting bike friendly hotels in Paris the only ones thay are tend to be expensive. Hi Santinder, good tips, thanks! Thanks for the Bike Iberia link! Lots of people reading the site come from outside the UK and Europe. Crazy I know, but I’ve just returned from Europe and relied upon cardboard boxes for packing my bike. I had no choice really as I flew into Milan and rode up and through Germany and Switzerland then into France and flew home from Nice. We flew with Emirates who had the most generous baggage allowance (30kg) of the budget carriers. For the flight over the sturdy Qantas cardboard boxes presented no problems but the return was less than satisfactory. We picked up some boxes at Nice airport. The sizing was generous but they were flimsy. We did what we could to improve the integrity of the boxes including fully wrapping them with plastic wrap. We put FRAGILE stickers and this way up signs all over it. On arrival home, the back end of my colleagues box had been torn off and anything that was loose in the box was missing (helmet, clothes used for packing, etc). Worse, there was some damage to the steel frame and paintwork. It’s a high end bespoke bike. Lessons learned? Secure everything to the bike. Reinforce the cardboard. Keep fingers crossed. Whilst bike boxes can be handy, I’ve heard too many bad stories – like this one. In your case though, you’re right, you were stuck – I will add this scenario to the post and Taking Your Bike Overseas ebook! I think a good lesson here is, if possible, arrange your trip around using a bike bag, which probably means you’ll need to leave it somewhere on arrival (airport storage locker) or take it with you. Great insights, hope the insurance looked after your friends bike!